Bing joins the Winter Olympics with a top of the page display of search results from the quadrennial sporting event that’s on in Sochi, Russia. 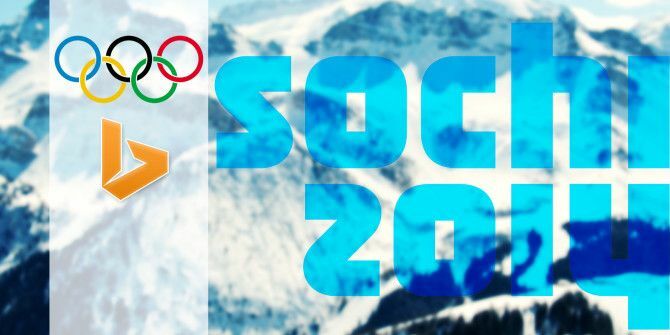 Users searching for Winter Olympics events and news will get to see Olympic-related schedules and content at the top of their search results. Bing will also display a running tally of the medals won by participating countries. The “Winter Olympic Medal Tally” will help sports buffs track the countries, teams, and athletes who make it count on the podium with medals. To find Olympic event schedules, search with specific sport to see the scheduled events for the next few days in Bing’s search results. Searching with the athlete’s name will show their individual event schedules. The searches will also bring up related information like images and any other timeline information. For instance, searching with an athlete’s name will show a chronological bio from their life and career. Searching with Google also brings up the schedules for the next few days. You have to click through to see the results of the completed events. As competitors, both search engines give users the instant information to keep themselves in the know. Just like the Olympics, there’s very little to separate the two. Explore more about: Microsoft Bing, Web Search.